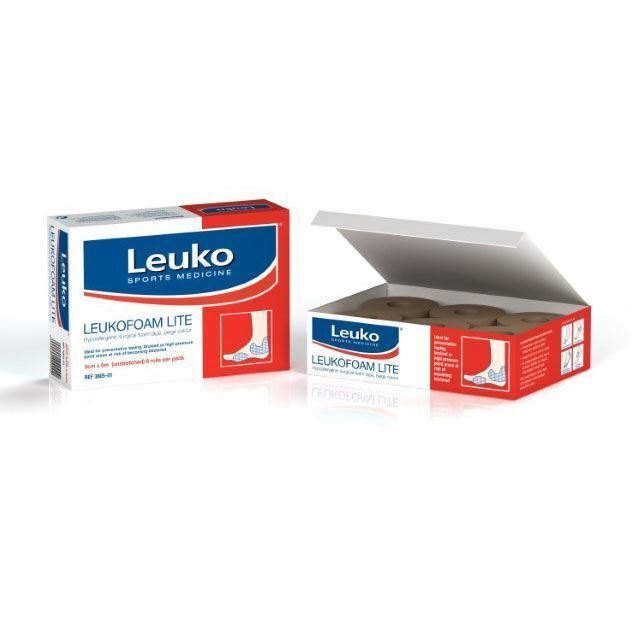 Leukofoam LIte is a hypoallergenic surgical foam tape. 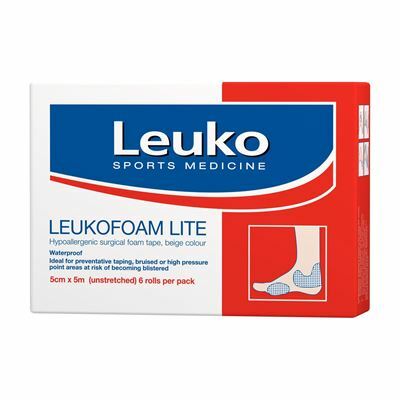 Ideal for preventative taping, bruised or high pressure point areas at risk of becoming blistered. For padding protection of other areas of the body ie. shoulders, ribs, shins etc, whilst engaged in contact sports. Waterproof. Beige colour. Use between toes or fingers to prevent irritation.